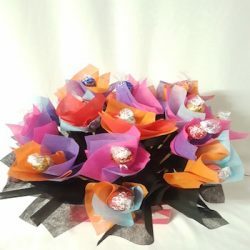 Chocolates wrapped with coloured tissues to represent flowers. 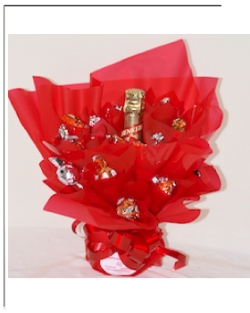 Each Chocolate is then arranged into a bouquet to represent a flower bouquet. 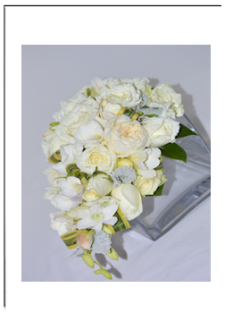 We love to arrange these beauties to represent a flower bouquet. 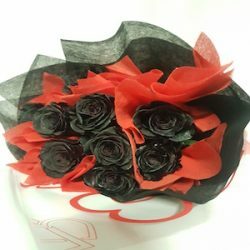 The chocolates are hand tied just like a flower bouquet or they are arranged in a round posy or bouquet in a box. 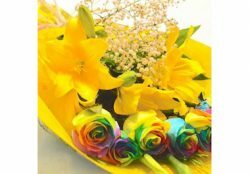 Thus we can say we create our very own boxes of floral chocolates! 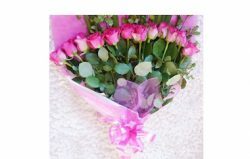 Then we like to add a bottle of wine, champagne or add these lovelies among real flowers. 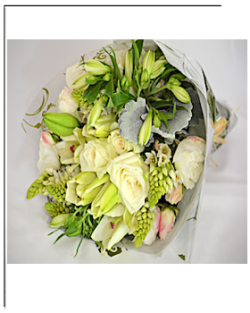 Call us on +61 402 240 235. Happy Chocolating!